Today's delivery is brought to you by 9th Wonder featuring Warren G, Murs & Kendrick Lamar. Lets just pause for a moment and reflect on the names I just mentioned. Its amazing that 9th wonder was able to wrangle all these artists up to be on one track with one of his beats in the background. 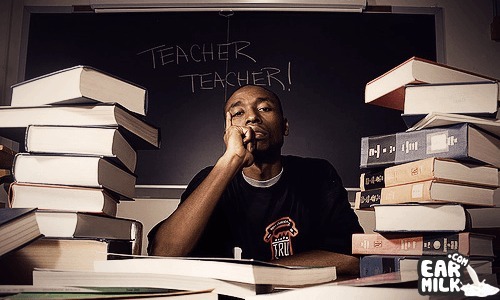 You could honestly just listen to a full instrumental album, from 9th wonder, all the way through. So, throwing some amazing artists on the vocal track is only the icing on the cake. The track I'm bringing to you today is called "Enjoy" and is off 9th Wonder's upcoming The Wonder Years album which drops on September 27th. There's not much to be said. You already know that album is going to be a must by but for now check out the track and chill….